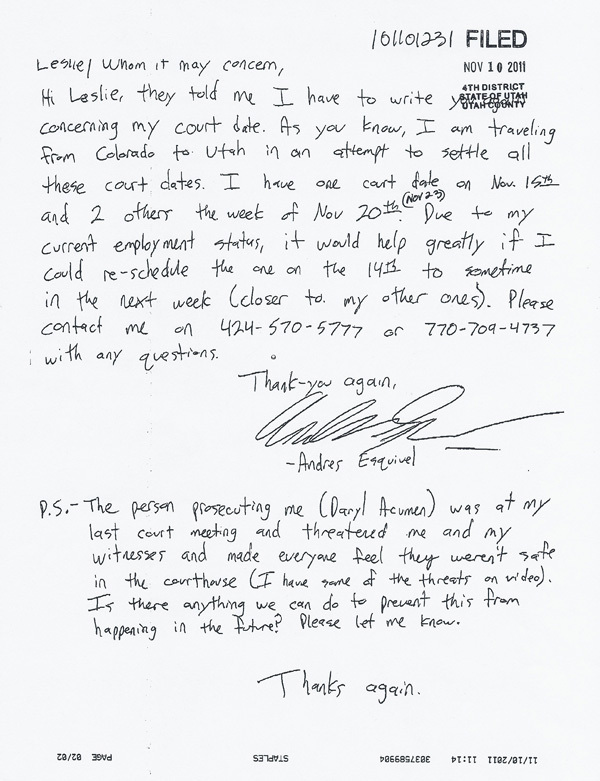 Over the course of the last several months, Andy Esquivel has written the Utah courts several times to ask for more time to find an attorney. Each time Andy sends a letter to the court, it becomes a matter of public record (a fact which Andy is completely ignorant of). Because these letters are a matter of public record, anyone with a good attorney (or access to a public library and a basic knowledge of what to look for) can gain access to copies of those letters. 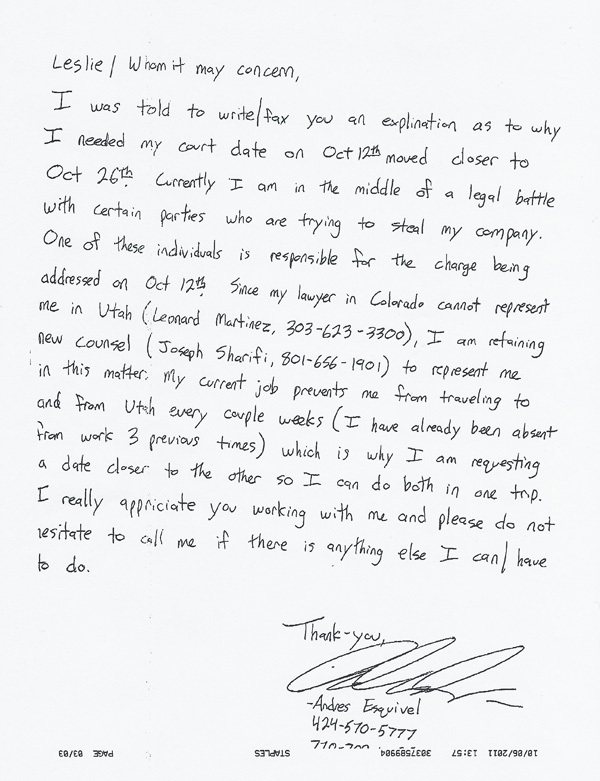 Below you will find links to the letters Andy has sent to the court so far, including one in which Andy openly wonders how in the world we are able to gain access to these letters in the first place.